If you know how to relax, muscle tension decreases, blood pressure goes down, the mind becomes calm and movement becomes more effortless and effective. In matches or training, how often have you heard coaches or players saying things like, ‘You need to relax and just go for your shots more!’ or, ‘You’re playing too tight – try to relax!’? How easy Is it to relax when being instructed to do so? Unless we have specifically spent time learning how to play with relaxation, most of us would probably struggle to a degree. The instruction could even cause more tension as we try hard to do the task! Just like any other skill in a sporting context, the skill of relaxation can be improved with training. I worked with a top 20 UK Table Tennis player recently who had a tendency to rush when returning serve. He said he could feel himself rushing and he felt that this also caused him to play with too much tension during the point. We set up an awareness exercise where he paid attention to his level of stillness before he returned serve and rated it after each return of serve using a 1-10 scale, where 1 was ‘rushing a lot’ and 10 was ‘I felt complete stillness’. After monitoring his level of stillness for about 10-15 service returns, he became much more aware of how this felt in his body compared to how his body felt when he was rushing. He also reported making a much better contact with the ball and a more effective return. 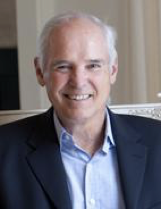 Tim Gallwey, The Inner Game of Tennis.